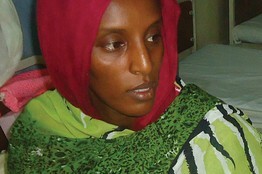 As of June 26, Meriam Ibrahim has been released on bail and has been transported to a safe location in Sudan, along with her family, according to a United States Department of State press release. The Associated Press, CNN, and Al Jazeera report more details. Please continue to hold up Meriam Ibrahim and her family in prayer as she continues to face persecution in Sudan for not renouncing her Christian faith. A very insightful article by Charlotte Allen late tonight in The Wall Street Journal reported that a 27-year-old Sudanese woman named Meriam Ibrahim seemed likely to become a 21st-century Christian martyr in May when she was sentenced to death by hanging because of her faith. But the day after her release on Monday, Ms. Ibrahim was arrested again. While the Associated Press reported Thursday that she had again been released Thursday, her future remained uncertain. Her story is harrowing. Ms. Ibrahim was eight months pregnant with her second child when she was convicted in a Khartoum court on April 30 under the Islamic Shariah law that has governed Sudan since 1989. On May 27, while in prison awaiting execution, Ms. Ibrahim gave birth to her daughter, Maya. Mr. Wani reported that his wife was shackled to the floor during labor. Their year-and-a-half-old son, Martin, had been jailed along with her. Ms. Ibrahim was re-arrested on Tuesday by a government security force as she, Mr. Wani and their two young children tried to leave Sudan for the United States. The Sudanese-born Mr. Wani has been an American citizen since 2005. The new charges against Ms. Ibrahim—which are reported to carry penalties of up to seven years in prison—consist of falsifying the family’s travel documents, which were issued by the embassy of South Sudan, the largely Christian territory that seceded from overwhelmingly Muslim Sudan in 2011 after a decades-long civil war. Mr. Wani hails from what is now South Sudan. Ms. Ibrahim’s story bears uncanny parallels to another Christian story involving young African mothers who did become Christian martyrs, during the early third century: the story of Felicitas and Perpetua, executed for their faith in the Roman port city of Carthage in today’s Tunisia. Vibia Perpetua was a well-educated young woman, not unlike Ms. Ibrahim, who is trained as a doctor. Felicitas was a slave in an advanced state of pregnancy when she was thrown into prison along with Perpetua and other Christians to await their deaths by wild animals in the Carthage arena. Perpetua, like Ms. Ibrahim, went to prison along with a baby son. Felicitas, like Ms. Ibrahim, bore a baby daughter before her execution date. The most dramatic parallel is the simple affirmation that Ms. Ibrahim gave in court that led to her death sentence: “I am a Christian.” Those also were Perpetua’s words, as they were of many martyrs in Roman times. Like Perpetua, Ms. Ibrahim, who was brought up in the Ethiopian Orthodox faith of her mother, also refused to recant. This isn’t just a matter of ancient and modern coincidences. More significantly, the Roman world of the third century was strikingly like today’s secularized West in its contempt for Christians and indifference to their persecution. Yet this persecution is mostly ignored. The Sudanese civil war included waves of genocidal mass killings of southern Sudanese Christians by the Khartoum government during the 1990s, but the media looked the other way until the Sudanese started slaughtering Muslim rebels in Darfur in 2003. The recent kidnapping of Nigerian schoolgirls by the Islamic-fanatic group Boko Haram has been portrayed as a war on women’s education. You seldom hear that most of the girls are Christians and one of the aims of the abduction was their forced conversion to Islam. Amnesty International has admirably agitated for Meriam Ibrahim’s release, but partly on grounds of Amnesty’s opposition to the death penalty. Even many Christian churches in the West seem to be too constrained by ethnic sensitivities to assert themselves on behalf of their persecuted brethren. They haven’t paid much attention to the near-extermination of the ancient Christian communities in Iraq during the past decade of turmoil, or to the systematic destruction of Coptic churches in Egypt by Islamic radicals in 2013. Meriam Ibrahim did manage to gain the attention and sympathy of the West by reason of her courage, her beauty, her status as a mother of two young children and the extreme circumstances of her case. If there are parallels between her experience and a story of ancient martyrdom, the lesson might be that the West’s cultured classes’ hostility to Christianity, like that of their of Roman forbears, results in a passivity that tolerates attacks on people whose only crime is their faith. Below please find a June 23 Update, two Updates for June 24, and the latest Update for June 25. 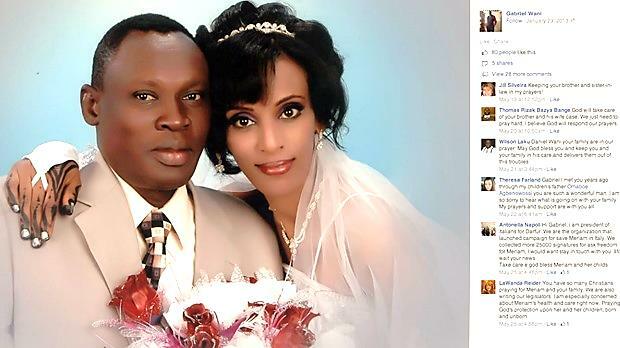 As of June 25, Meriam Ibrahim is still in Sudanese custody, along with her family. Please continue to hold up Meriam Ibrahim and her family in prayer as she continues to face the death penalty in Sudan for not renouncing her Christian faith. Christianity Today reports today that a court in Sudan has ordered the release of Meriam Ibrahim, the 27-year-old Sudanese woman who was sentenced to 100 lashes and death by hanging for alleged adultery and apostasy. Sudan’s high court in Khartoum canceled the case, the Associated Press reports. Ibrahim’s lawyer, Elshareef Mohammed, said she had been sent “to an unknown house to stay at for her protection and security,” the Daily Mail reports. “Her family had been threatened before and we are worried that someone might try to harm her,” he said. Officials promised that she would be released “in a few days” in late May, more than three weeks ago, according to the BBC. Ibrahim’s case incited international outrage over Sudan’s treatment of Ibrahim, a wife and mother of two children. After giving birth to her second child in a Sudanese prison in May, Ibrahim was given two years before the courts would enact the death sentence. But the international pressure to free Ibrahim has paid off, a human rights activist told the Daily Mail. Laws against apostasy — the act of abandoning one’s faith — are on the books in 21 countries, and punishments range from fines to death, according to the Pew Research Center. They are most common in the Middle East and North Africa, where more than half of the countries have them, and there are five on the books in the Asia-Pacific region and four in sub-Saharan Africa. Sudan’s legal code dictates that a pregnant woman not be executed until she has had two years to raise her child, according to Human Rights Watch. While there has been no systematic study of the matter, and many punishments are not publicized, it appears that actual state-ordered executions are rarer than killings by vigilantes, mobs, and family members, sometimes with state acquiescence. In the last two years in Afghanistan, Islamist militants have murdered at least five Christians who had converted from Islam. Vigilantes have killed, beaten, and threatened converts in Pakistan, the Palestinian areas, Turkey, Nigeria, Indonesia, Somalia, and Kenya. In November, Iranian convert Ghorban Dordi Tourani was stabbed to death by a group of fanatical Muslims. In December, Nigerian pastor Zacheous Habu Bu Ngwenche was attacked for allegedly hiding a convert. In January, in Turkey, Kamil Kiroglu was beaten unconscious and threatened with death if he refused to deny his Christian faith and return to Islam. I urge the Sudanese judiciary and government to respect Ms. Ishag’s fundamental right to freedom of religion. I also urge Sudan to repeal its laws that are inconsistent with its 2005 Interim Constitution, the Universal Declaration of Human Rights, and the International Covenant on Civil and Political Rights. CT has chronicled Ibrahim’s case, including her initial death sentence as well as the birth of her daughter, Maya, in prison in May, also noting the false reports of Ibrahim’s release. CT reported the crackdown of Christians in Sudan following the country’s move to become 100 percent Muslim and has also reported on violence against Christians. Update (June 24, 9:45 a.m. CDT): Sudanese authorities have rearrested Meriam Ibrahim along with her husband, Daniel Wani, as they tried to leave Sudan from a Khartoum airport. About 40 security officers detained the family of four and took them to the headquarters of a Sudanese security agency as they were trying to leave for the United States, according to the BBC. They were not told why they were being arrested, according to the Telegraph. Update (June 24, 5:18 p.m. CDT): Meriam Ibrahim and her family have reportedly been released after being temporarily detained on their way out of Sudan, reports BBC. Religion News Service, CNN, and Reuters report more details. Sharing the “Good News” in Song! 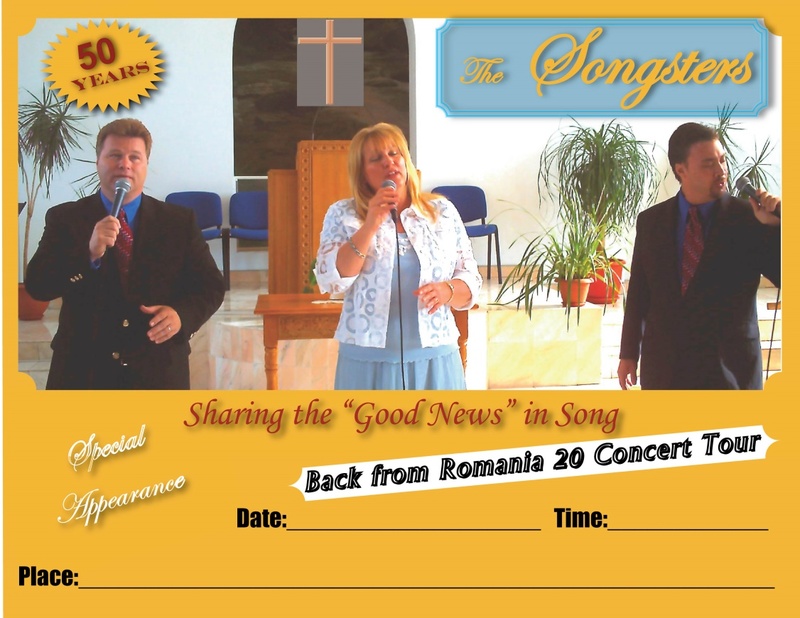 The Songsters Quartet has returned from a 20-concert tour in Romania and will be performing at Central Church in a special appearance on Saturday, June 28 at 6:00 pm. Formed in 1960 at the Akron Baptist Temple, many fine Christians have worked in this ministry reaching out with gospel music to encourage the saints. As time went by the Songsters Quartet center changed more to ministry using Southern Gospel as the tools to reach the lost with the Salvation message of Jesus Christ God’s Son. When people talk about the smooth and dynamic sound of the Songsters Quartet, there are three other attributes used in describing the group; Spiritual, Genuine and Sincere. The Songsters Quartet is dedicated to serving the Lord, seeing souls saved and hearts uplifted. Saints are always inspired when they’ve heard the Songsters Quartet present Christ in song. If you are looking for a service where the Lord leads, souls are saved and fires are rekindled, you’ll be glad to know this is what the Songsters strive for in each and every service. The Songsters hold dear their faith in Jesus Christ and serve the Lord out of a burning desire over flowing with His love. Please join us for a free concert of enjoyable, spirit-filled Gospel music on Saturday, June 28 at 6:00 pm. A freewill offering will be taken to help support the Songsters’ ministry. 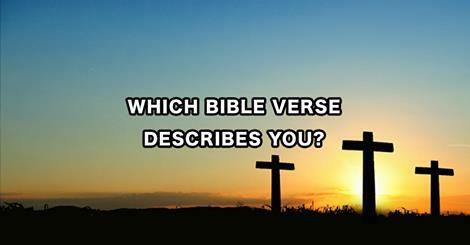 Which Bible Verse Describes You? Take the test on our “Just for Fun” page! The Full Armor of God, described by the Apostle Paul in Ephesians 6:10-18, is our spiritual defense against attacks by Satan. Although Central Church is naturally and primarily focused on the defense of individual souls from such attacks, we are passing along a security alert regarding the “CryptoLocker” encryption virus that is making a strong return. CrypotoLocker is a ransom trojan that targets computers running Microsoft Windows. The receiver is tricked into opening an email that appears to be from a legitimate source and may be labeled as a voicemail or fax. While spam filtering companies are doing their best to block the malicious emails, the spammers are changing the deceptive messages very rapidly. Once activated, the trojan displays a message that offers to decrypt the victim’s files if a ransom is paid by a stated deadline. Victims should be aware there is no guarantee that paying the ransom will provide desired results. 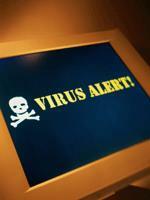 In fact, the victim’s stored information may not be deleted but is made virtually unusable by the malware. Often the lost data will need to be restored from a backup server, provided the backup is not connected to the system and also encrypted. While we may be sent out into the world as sheep among wolves, remember the guidance of Matthew 10:16 and take what prudent precautions you can to protect both yourself and your computer! 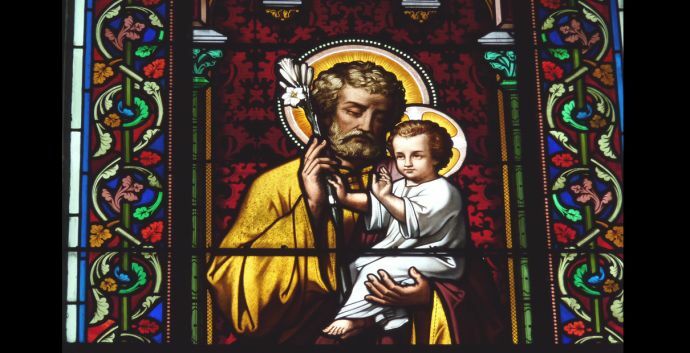 Detail of stained glass window of St. Joseph and Jesus from Church Sainte Marguerite in Le Vesinet in the Departement Yvelines, Ile-de-France. Little boys clamor to play the wise men in the Christmas pageant before agreeing to play him. In a typical Nativity set, he can be easy to mistake for a shepherd. No question: The reserved, unobtrusive Joseph tends to hover in the background in our retellings of Christ’s birth. But Joseph gets his due in the Gospel passage Matthew 1:18-24. This is Joseph’s big scene, and the example he sets still offers lessons for Jesus’ disciples — and fathers — today, say scholars and pastors. “Like others in our salvation story, God turned Joseph’s life over, but Joseph always had a choice to follow or not,” said the Rev. Jarrod Johnston, an avowed “liturgy nerd“ and associate pastor of communications and young adult ministries at First United Methodist Church in Arlington, Texas. The Holy Family’s beginnings were anything but Christmas-card perfect. The Gospel of Matthew makes clear that Mary’s pregnancy was a scandal. Sure, she was with child by the Holy Spirit, but Joseph either did not know or did not believe Mary’s story. So, the couple’s engagement was falling apart, and the Virgin Mary faced the strong likelihood of becoming an unwed mother. In first-century Galilee, such a broken home could have dire — even deadly — consequences. Matthew also says Joseph was “a righteous man.” That means he was obedient to the Torah, the law of Moses, say biblical scholars. Witherington, who is also an ordained United Methodist elder, has written more than 30 books on the New Testament, including a commentary on Matthew. He points out that it was significant that whatever sense of betrayal Joseph might have felt, he wanted to part ways from Mary “quietly.” The alternative would be to press charges against her before the local religious elders, not only publicly humiliating Mary but also putting her at the same risk of stoning faced by the adulterous woman Jesus later encounters. Nevertheless, as Matthew shows, Joseph was open to heeding fresh guidance from God. In a dream, an angel tells Joseph that the child his betrothed is carrying was indeed conceived by the Holy Spirit and will be the Immanuel promised in Isaiah. That openness to God is one of his key attributes worth following. Joseph’s attention to his dreams continues to save Jesus’ life. In Matthew 2:13, he follows a dream’s warning to flee with his family to Egypt and escape the murderous Herod. When Herod dies, Joseph receives a dream to return. Finally, he obeys a fourth dream to settle in Nazareth and avoid Herod’s successor, Archelaus. By taking Mary as his wife and naming the child Jesus (the name given to him in the dream), Joseph was claiming the divinely born child as his own, Dodson said. In other words, Joseph adopted Jesus. That’s one reason Jesus — through Joseph — could trace his genealogy through King David’s line, Witherington said. Joseph’s act of adoption particularly resonates with Johnston, the Arlington pastor. He and his wife are looking into the process to foster a child with plans to ultimately adopt. Joseph provided one of the first biblical testimonies to the power of adoption into the family of Christ. 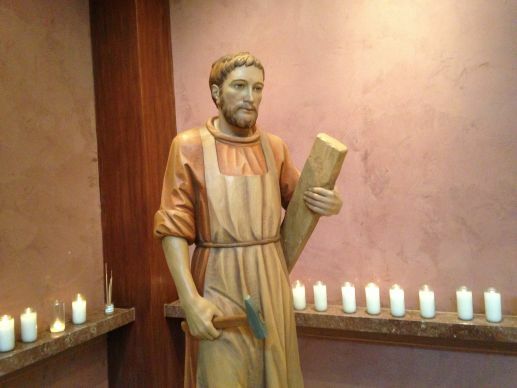 Statue of St. Joseph in St. Henry Catholic Church, Nashville, Tenn. But the Bible only mentions Joseph in passing once Jesus begins his adult ministry. In Matthew 13:55, Jesus’ hometown neighbors initially dismiss him as the carpenter’s son. The Bible makes no mention of Joseph during such important moments in Jesus’ ministry as the wedding at Cana or his way to the Cross. The implication, of course, is that Joseph had died long before these events. Perhaps for this reason, the tradition has arisen that Joseph was considerably older than Mary when the two wed. Many crèches show him with a gray beard. 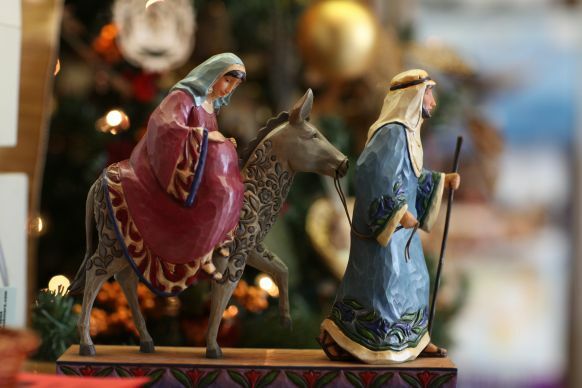 In any case, it makes sense that Christians would associate Joseph with home and family given his role in providing the Christ child with a safe and loving place to grow up. Perhaps the most significant thing about Joseph and Mary is that God chose them for their sacred role in Christ’s life. K.K. 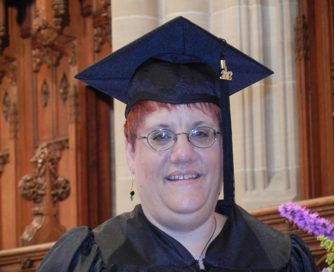 Yeo, New Testament professor at United Methodist-related Garrett-Evangelical Theological Seminary near Chicago, like so many others, sees Joseph as an exemplar of faith. 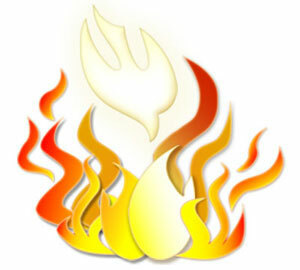 Get ready for this Sunday by having Chuck explain the basics about the Day of Pentecost! Click here for the Pentecost episode of “Chuck Knows Church”. 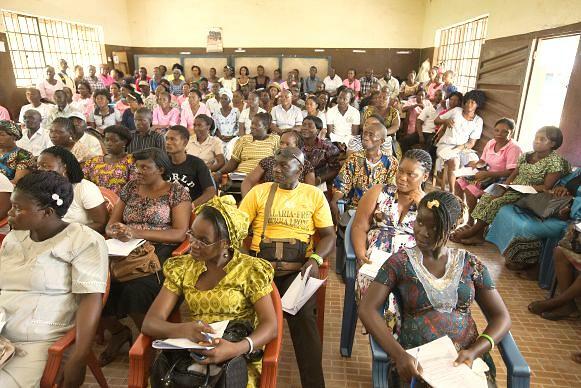 Community health workers undergo training in the Kakua Chiefdom, outside Bo, Sierra Leone prior to a distribution of insecticide-treated mosquito nets by The United Methodist Church’s Imagine No Malaria initiative. 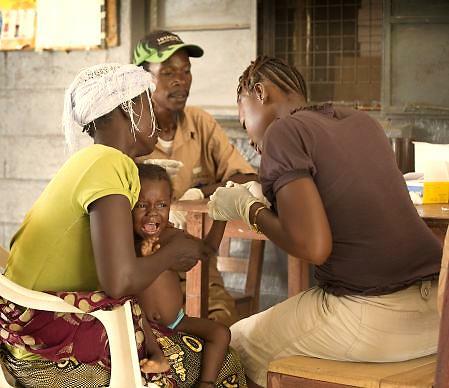 Health worker Juliana Koroma (right) takes a blood sample from Issata Jusu for a malaria test at the Koribondo Community Health Center near Bo, Sierra Leone. Holding the child is her is her mother, Umu Koroma. At rear is health worker Ishmael Karoma. 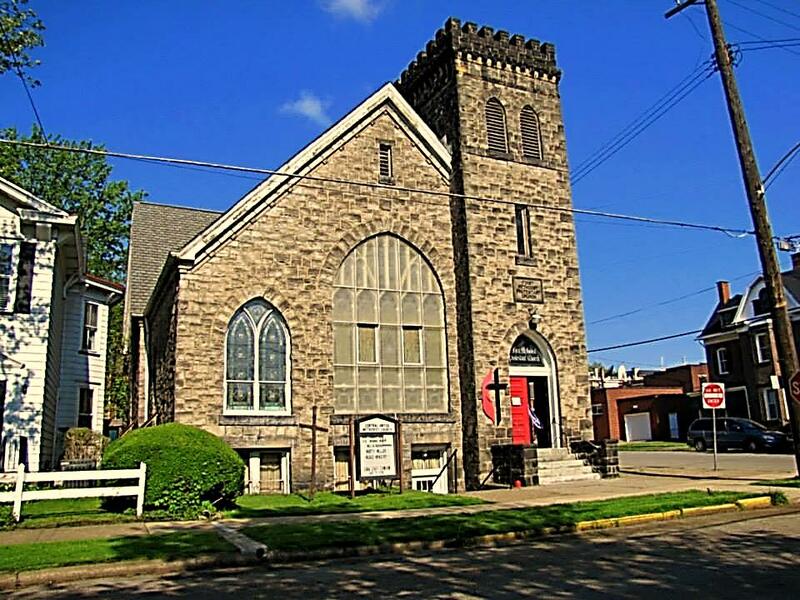 It seems like just yesterday that I arrived here to serve the Beaver Falls Charge: Central/Riverview Churches. I came to these churches with a greater sense of God’s calling than experience. I am happy to report that both of those things have grown and matured during our ministry together. The most important thing I continue to learn is that loving others is both our greatest joy and our greatest challenge. It is our calling from Christ-no matter what the cost. It is a calling that does not know the boundaries of ease or convenience. It is a calling that challenges our comfort zones. It is a calling that requires our utmost patience and care. Above all, the call to love one another is one which requires deliberate choosing, every day, to love- whether we feel like it or not. So there it is. I love you all. I choose to love you whether you want me to or not. There is nothing you can do about it. That’s exactly what God’s love for us is like. God chooses to love us, like it or not, no matter what-over and over again. My hope and prayer is that this time we have spent together, though short, has brought you closer to that kind of crazy love in your relationship with Christ, with each other and in service to your neighbors. If there was any agenda in my being sent to serve here, that is it and it belongs to Christ. That you might in some way, large or small, know Christ, know who you are in Christ and live as the beloved child God has called you to be. I have hoped and prayed that in some way God might use me to help you understand God’s steadfast and unchanging pattern of loving us in the context of the whole story of God as contained within the Old and New Testaments and to realize that the Church exists for two purposes: to worship and to be servants of God’s mission, i.e. opening wide God’s Kingdom, including and inviting all people everywhere into God’s heart. I don’t know if that has happened for you and I may never know. But to know whether we make a difference is not part of God’s promise for those who follow God. Our task, with God’s help, is to simply faithfully scatter the seed that God has so graciously provided. Our journey together has been full of peaks and valleys, but always Christ leads and the Holy Spirit sustains us. That is the promise of God fulfilled. We have done some awesome ministry together in this short amount of time and writing this parting letter is difficult. It is easier, in these times, for me to imagine how the Apostle Paul must have felt as he left each community he served to move on to the next community in need. I think his words sum up my love, hopes and prayers for you as you move forward together in Christ. I pray and trust you will greet your new Pastors, leaders and their families with the same warmth and hospitality you have extended to my family and me. God is sending them, as God has sent and is sending me-to lead you ever closer to God’s heart and to greater depths of love, service and witness to others. Thank you for your service and your love. Support our church for FREE while shopping online! Sign up to the church’s new fund-raising program UMCmarket, which has been approved by the GCFA. A percentage of your shopping will be donated to our church. Go to UMCmarket and Join by entering your email address and a password of your choice in the box down to the left. Enter the name of Central Church (“Central Beaver Falls”) in the middle box. If you don’t find it, e-mail our support team and we will help you finding it. Join Central Church. Browse through all our categories and choose to shop from our hundreds of stores. Every time you shop the stores will donate a portion of your purchase back to Central Church. Make sure to log in before going to the stores and to have an empty shopping cart before you start to shop. Also, you need to complete your purchase within 24 hours to be eligible for a donation. What stores are participating and how much do they give back? Under the tab Stores you can search for stores in a lot of different categories. Next to every store you will see the percentage that they have agreed to pay back every time you make a purchase. Your donations will automatically appear in your account for all stores except for AMAZON. Amazon purchases are directly donated to your church from Amazon and will be registered as donated from “Amazon”. When will Central Church get the donations I create? Every time you have made a purchase you’ll get an email stating the amount of your donation. Depending on the store and if they have the item in stock or not, it can take up to 7 days for them to reply. Every month the church with a accumulated value from donations that have been approved of $100 or more will receive a check from UMCmarket. If the accumulated total is less than $100, it will roll-over to the next month until the accumulated amount reaches $100. We’ve partnered with hundreds of stores who’ve agreed to give back a portion of your purchase. 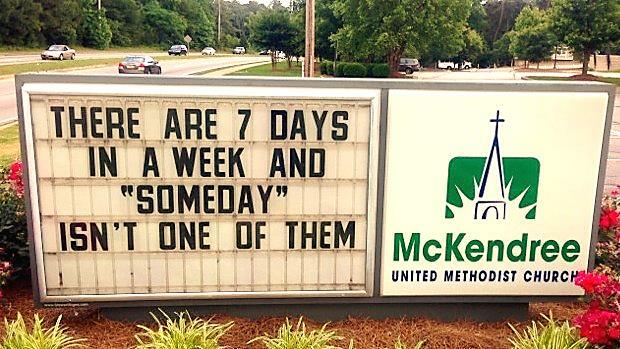 It’s their way of saying “thank you” to UMCmarket for referring customers to them. The money that you get back goes automatically as a donation to the church that you’ve selected in your account. Thank you for supporting Central United Methodist Church!